1113 SE 23rd Ter, Cape Coral, FL.| MLS# 218055202 | Southwest Florida Residential Real Estate for Sale. 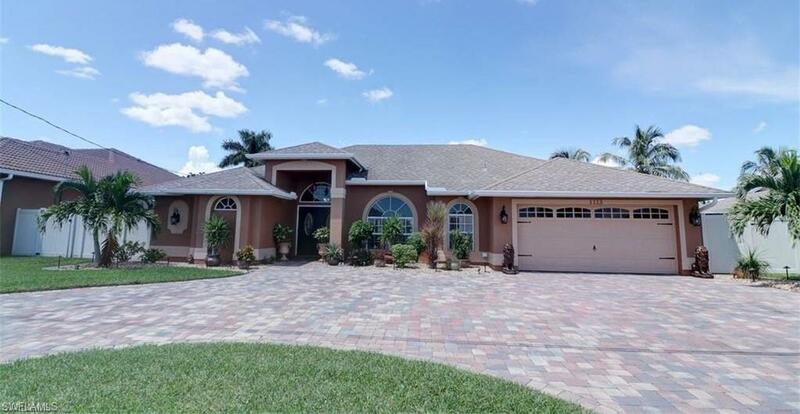 Beautiful upgraded gulf access pool home. This home is 20 minutes out to the river and has one bridge. Brand new kitchen with new kitchen appliances in 2017. All bathrooms redone in 2017, AC is new in 2017, Salt water heated pool just refinished this year. New dock with tiki bar w/a 10, 000 lb covered boat lift. You will not want to miss this amazing 4 bedroom plus den and an office with 3 bathrooms. Sit back and enjoy the view in your beautiful new home.